Hard-hitters like Denis Shapovalov and Caroline Garcia have been competing with its prototype version since 2017. This long-lasting, high-power polyester string retains performance with minimal drop even after the punishing impact from big swings. 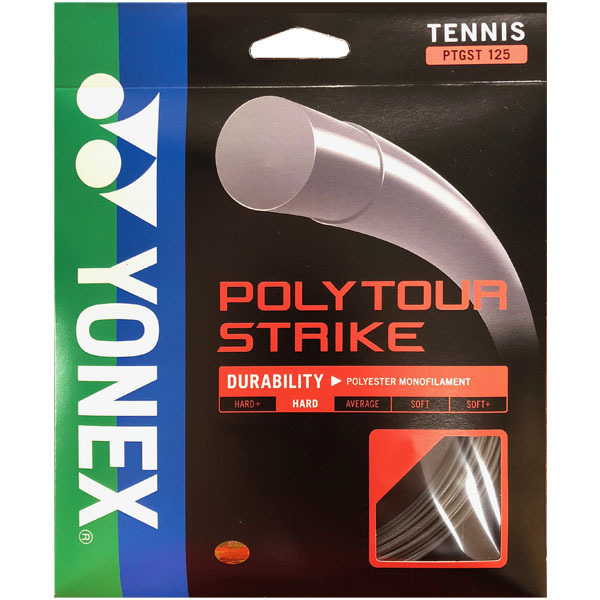 PolyTour Strike lets aggressive players attack with confidence knowing their strings won’t lose tension when they need it most.